I did this the other day with my TC33D too. Just drain the filter bowl like you did, clean the filter, reinstall. Turn on the fuel valve. There may be a bleeder bolt on top of the injection pump, open it. Loosen one or two of the injection line fittings at the pump. Crank the engine a few seconds at a time until fuel comes out of the bleeder and tighten. Continue cranking until it starts or sputters. Turn off and tighten the fuel line fittings at the injector pump. Restart and yer all set. Hey Thanks Earthwrks! I'll try that...it sounds pretty simple. Thanks again!! Hey Earthwrks, You were exactly right! After I bled the lines at the injector pump, she fired up right away! I drained the rest of the bad fuel and am back to full cutting power!!! Thanks again! Glad to hear it worked---not that I had doubts since it worked for me ! I replaced the fuel filter on mine, it was so tight I had to remove the mounting bracket and put it in a vise to get it loose. 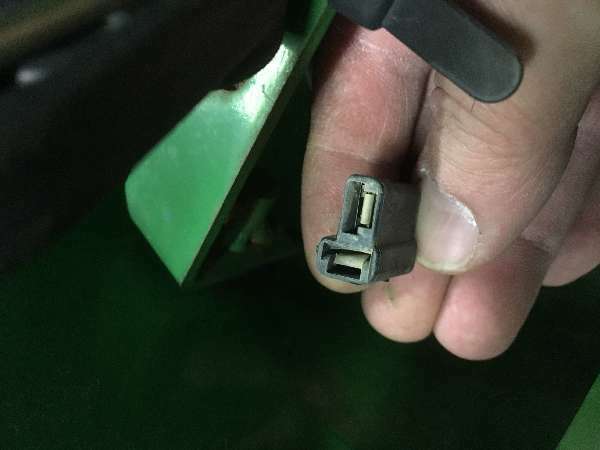 Reinstalled it and the tractor would not crank. I thought I was going have to use your method. But first i filled the filter up with fuel reconnected everything and it fired right up. Maybe there is a way to keep up with the successess that we have on TP. When we help someone, solve a problem, come up with a method. Like a score board. When I worked in a shop the boss had a system like that: (1) "Attaboy" equals (10) "Awshit"s.